While both special and unanimous resolutions can be attained either in writing or at a general meeting, we will deal with the ways in which special and unanimous resolutions are obtained in general meeting. In addition, we will establish what relief can be sought should these not be attained or be unfairly passed. STSMA section 6(2) states that 30 days’ notice of a meeting where special or unanimous resolutions will be taken must be given, except for where the rules provide for shorter notice. This notice must specify the proposed resolution. PMR 15(7) indicates that a general meeting may be called on 7 days’ notice if the trustees resolve this necessary due to the urgency of the matter; provided that no resolutions referred to in PMR 29(2) or (4) may be passed i.e. no resolutions for improvements. STSMA section 6(3) clarifies that the notice for a meeting specified in STSMA section 6(2) must be (a) delivered by hand to a member; (b) sent by pre-paid registered post to the address of a member’s section in the relevant scheme; or (c) sent by pre-paid registered post to a physical or postal address in the RSA that a member has chosen in writing for such purposes. While STSMA section 6(4) notes that in addition to subsection (3) a notice contemplated in subsection (2) may also be sent to a member by fax or email, Professor Paddock has advised that owing to the placement of this indicating that it is in addition to STSMA 6(3) notice must be sent by one of the ways noted in 6(3) and can be faxed or emailed only if in addition to these. Unfortunately this does mean that cost benefits gained from utilising electronic media forms can still not be gained where special or unanimous resolutions are being tabled at a general meeting. (b) for any other scheme, by members entitled to vote and holding one third of the total votes of members in value. Provided that at least two persons must be present unless all the sections in the scheme are registered in the name of one person, and provided further that in calculating the value of votes required to constitute a quorum, the value of votes of the developer must not be taken into account. PMR 19(3) clarifies that the value of votes of body corporate owned sections must also not be taken into account. Please note the distinction between primary sections and members, as members can own more than one primary section. Where there are developer owned primary sections, the quorum is calculated excluding these sections from the calculation. For example, in a scheme of 10 primary sections, if 4 are owned by the developer the quorum is calculated on 6 primary sections. If those 6 primary sections are owned by less than 4 members who are entitled to vote then the quorum is two thirds, otherwise the quorum is one third of the total votes in value. While the exclusion of the developer’s votes in tallying a quorum was motivated to ensure the developer cannot dominate the decision making process, it might make decision making difficult where the developer retains a substantial number of sections long after the inaugural meeting has been held, as many do. The one third, two third quorum, as opposed to the previous sliding scale quorum requirement, does make it easier to establish quorums for schemes consisting of 4 to 50 units. However, schemes consisting of over 50 units will have a quorum increase from a fifth to a third of the total voting values. It is also worth noting that STSMA section 6(5) denotes another change in legislation in that proxies may only be held for two members. Members again is different to primary sections and if you hold proxies on behalf of 10 primary sections, this may only be done if these 10 primary sections are owned by two members. Please remember that the quorum requirement to table and pass a unanimous resolution in a general meeting is 80%, calculated both in value and in number, of the votes of all the members of a body corporate present or represented (refer STSMA section 1 – definition of a unanimous resolution in December blog 02). At the meeting all members who cast their vote must do so in favour in order to pass the resolution. STSMA section 6(9) states that the body corporate or owner may approach the chief ombud for relief where they are unable to obtain a special or unanimous resolution. You may refer to section 39 (prayers for relief) to establish on what other grounds the ombud may be approached, which include financial, behavioural and scheme governance issues, as well as in respect of meetings, management services, private and common areas and in respect of general and other issues. The ombud has published in the regulations: levies and fees chapter 2 the fees for dispute (R50) and adjudication (R100), as well as the formula to calculate the monthly levy payable to the ombud by communal scheme owners. The monthly levy is 2% of any levy above R500 and capped at R40. The CSOS have confirmed that special levies and exclusive use areas will not attract a CSOS levy, but each section (whether primary or utility) will be subject to the CSOS levy legislation. We are interested to see how dispute and adjudication will be handled by the ombud and hope this will prove an effective alternative to arbitration and court. We have defined special and unanimous resolutions and the ways these may be obtained. 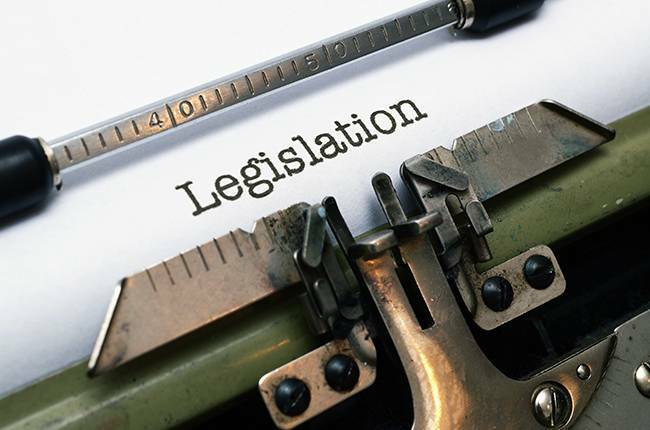 We have highlighted the ways the new legislation has altered procedures and in addition we have noted which matters require special and which unanimous resolutions, as well as a few items that require the written consent of all owners and sometimes bondholders as well. To understand the type of consent required to fulfil legal obligations is important, as otherwise you could be held liable or be required to remove or reverse an application not properly processed.